Considering just how open-ended a question that is, it's perhaps surprising that he merely went back less than a couple decades into the Bush presidency, though Trump's base will certainly welcome it as it hearkens back to his "America First" foreign policy vision of the campaign trail. “The worst single mistake ever made in the history of our country: going into the Middle East, by President Bush,” the president during his interview with Hill.TV. “Obama may have gotten them (U.S. soldiers) out wrong, but going in is to me the biggest single mistake made in the history of our country,” he said. Trump explained the reasoning behind this choice, and why it wasn't something like the civil war or another defining and devastating event reaching far into American History. “Because we spent $7 trillion in the Middle East. Now if you wanna fix a window some place they say, 'oh gee, let’s not do it. Seven trillion, and millions of lives — you know, ‘cause I like to count both sides. Millions of lives,” the president explained. Some scholars and humanitarian groups estimate that over one million Iraqis were killed in the US invasion and occupation of Iraq starting in 2003. A 2008 Opinion Research Business (ORB) poll, for example, found that approximately 1.03 million people had died as a result of the war. Various estimates on the Iraq war's cost have put the total taxpayer bill as low as near $2 trillion, but none dispute that it is in the multiple trillions, and estimates will vary widely depending on if veteran care is factored into it. He had previously shocked pundits for being the first Republican nominee for president to trash George W. Bush's decision to go to war in Iraq, and has more recently likened it to "throwing a big fat brick into a hornet's nest". All of this is a hopeful sign considering the extremely heightened and dangerous tensions over Syria this week, and given Trump seems to have vacillated between "bringing the troops home" and getting more involved. On Monday Trump hinted that a decision on the U.S. role in Syria is coming soon. 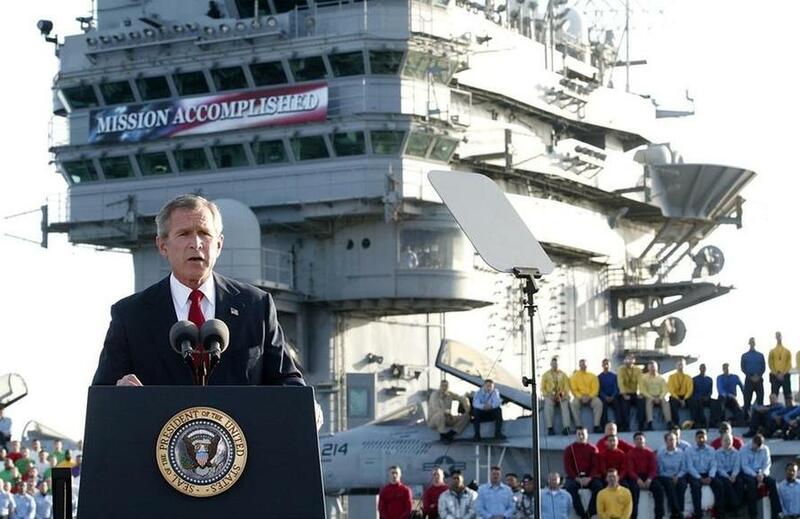 We consider it a hopeful and a good sign that Trump is possibly revisiting his "America First" foreign policy pledges by identifying the Iraq War as the worst mistake in US history.